When I set out to launch my Premium Packages Success System, I created a plan on how to enroll 600 new members into that program. This would make it my biggest program launch ever. It seemed daunting and impossible. I created a plan on how to make the impossible possible. And yet, I still doubted… I worried. It didn’t seem doable. And then it all shifted, instead of worrying about the how, I put more attention on the why. I still followed the plan, I just let go of my attachment to the results and put more attention on my mission – to stamp out underearning and undercharging. And then… miracle after miracle occurred. It felt like the whole Universe was conspiring to help me out. Unfortunately I was wrong… My launch wasn’t destined for 600 new members after all, it was destined for over 1289. And now my WHY is stronger than ever. It’s easy to surrender to doubt or fear. It’s easy to chase after the money. It’s easy to procrastinate, to be overwhelmed, and to feel like I am being judged. But there is one thing that’s even easier: to be of service. It literally takes no effort to be in the question of “What would be of highest service to the person (or my whole tribe) I am speaking to?”… and then to have every decision and every action flow out of that place of service. At the end of the day it makes the effort so much more worthwhile. At the foundation of every success is a feeling – a state of being that sets up that success. I know that when I feel good and when I am living my values, everything simply clicks into place. And nothing sets this up for me more than being generous. During my last launch of my Premium Packages Success System, I stayed on answering people’s questions after my webinars for hours. I gave more than any other time in my life. I kept on hearing comments like, “I can’t believe you are still here – you must be tired.” The truth is, nothing makes me feel as good as when generosity is pouring out of me. And when I feel good, others feel good around me. And when I give freely, others naturally want to give back. What I kept on hearing from my new clients is how much my message of stamping out the underearning and undercharging epidemic resonated with people. The only reason I was able to develop that theme was because I put myself in the shoes of my clients. I feel what you feel. I think what you think. I hurt when you hurt. I am joyful when you are. And that’s what allowed me to speak in a way that resonated with me tribe. Intimacy creates connection. So these are my favorite lessons from my Premium Packages Success System launch. These learnings are very dear to me, so I hope their true meaning comes through for you. I would mean a lot to me if would share in the comments below which of these learning resonated with you most and why. All 5 speak to me and seem inter-related. The big takeaway is what it looks like to be a heart-based entrepreneur. You share insight and proof that selfless service, has big rewards. We don’t have to cmpromise values as long as we give all we have in a focused strategic way. Looking forward to this journey. Thank you ‘trailblazer Bill’! I am so inspired at who you have been throughout both of the courses I have participated in, both MOE and PP. I can do the arithmetic and see that you are moving rapidly onto a world stage and your business is growing wonderfully. And I can see clearly that the reason is you are being true to yourself. And you are an amazing contribution. I take courses every year from people who are making a difference in the world. I can say that these two on line courses have been really invigorating. I look forward to every lesson and I find myself eager to do the homework, even though they are fairly easy for me. 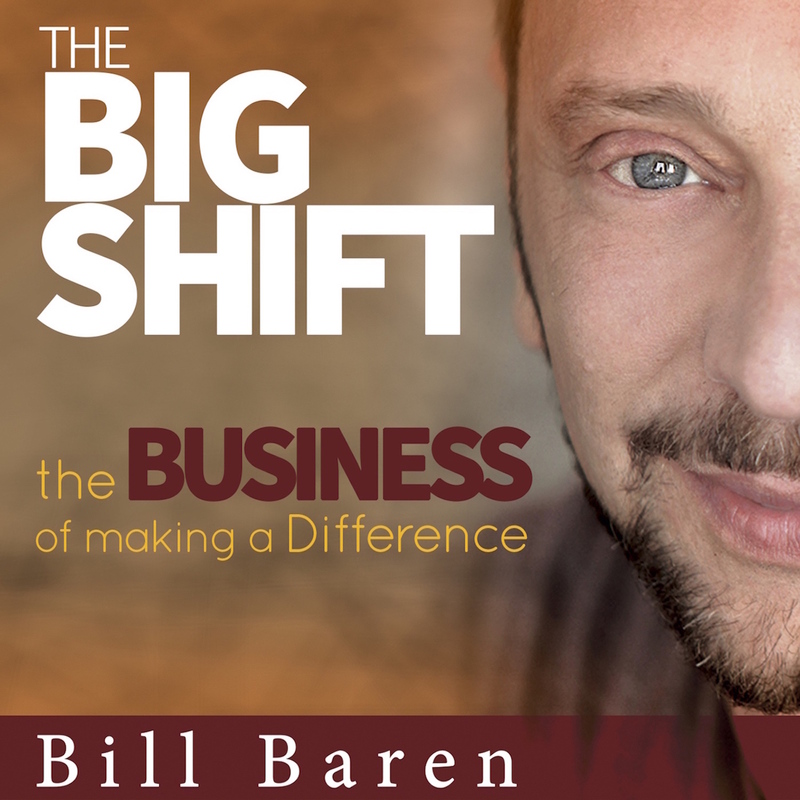 Look forward to the Big Shift Experience next month. Thanks again for sharing how you were feeling as you began the biggest program you’ve ever did. It gives us all hope, and the imperfect road map forward. “Generosity is King.” Love it! Thanks for being so generous and sharing with us !!! All the best in your journey !!! Bill, another good one-solid and real. You always plant a new seed for me. Thanks. Bill, thank you for sharing this. I’ve been struggling with BELIEVING that I can maintain my generous heart and make money while I’m spreading my message. I don’t have very many examples of people who seem to share some of my core values and operate in a way that I would emulate, but I have been very impressed by you AS A PERSON and I hope that I can make it to your level of influence one day. This is just what I need to read today. Yes, you can have both. And it is a daily practice to continue to pay attention to staying in alignment. Your comments on generosity gave me an idea: Rather than offer discounts and “specials”, I can offer to conduct a workshop for the charity of my client’s choosing. In this way, I can do public service, which is part of my mission, and I can include my client in that effort. Hmmm. I certainly appreciate your expression of vulnerability as you developed and launched your program. This speaks volumes for someone who is still in the training stage of developing a business. Mindset plays a tremendous role with every action (or inaction) and as a recovering perfectionist, I am learning imperfect action leads to the best form of learning, which truly becomes a personal win for continued growth. Keeping one’s eye on the WHY with the intent to serve the greater community will, I believe, create the connections and continue to fuel our WHY and desire to serve. I am really enjoying the program. 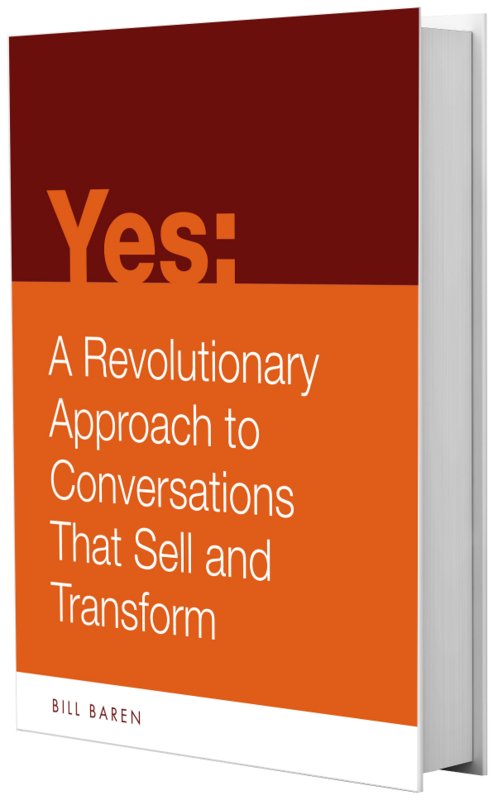 Your approached has allowed for a mind shift to occur as it relates to value at both the personal and product/service level. You truly are someone who continues to give back as demonstrated by the time you spend answering people’s questions during the Q&A. Even though I have not yet called in, it has been through these conversations with others that has helped answered questions I have had. I goes to show that helping one can also help others. Keep up the great work and thrive on! It made me smile from ear to ear reading you comment. Thank you. And I resonate particularly with the outcome of Inspired creation causing the tribe’s Increased Expectations. I think this is from the infinite possibilities of creation which excites individuals to seek more. This is very exciting for us all and I am delighted you have inspired my thinking on this. The first thing I need to do is to focus on your #1. The second thing I need to do is to remember the first thing I need to do!!! I have an absolutely massive why- everything I have learned in 15 years as a high school counselor needs to be spread to as many parents of teens as possible. I do have so much to share to help parents (and their teens indirectly and probably directly too) master the art of raising teens. What has me postponing my launch over and over again??? Too much focus on HOW!!! There is so much on the steep learning curve of small business and so many rabbit holes of competing methodologies out there that my WHY is taking a back seat. The world is not yet able to benefit from what I have to share because I keep getting stuck on HOW. Note to self: focus on why. In case I forget: FOCUS ON WHY!!! Okay, I think that will do the trick. By the way, reviewing in order to refine is one of the most important practices that helped our counseling team earn the national designation of Recognized ASCA Model Program (RAMP). I HAVE TO LAUNCH TO HAVE SOMETHING TO REVIEW FOR MY COACHING BIZ!!! I’m curious on what your why is Bill? Are you open to sharing? You said it was stronger than ever. How did a successful launch affect your why being stronger than ever? Thanks! I am very committed to alleviate suffering in the world. My piece of it is to banish undercharging, underearning and feeling under-appreciated in those business owners that are here to make a difference i the world. I am very connected to helping those who are then in turn able to help others. It’s the biggest impact I can make. I agree with Lisa. The why is not quite “everything” but it sure DRIVES everything. In your launch you were tireless and very patient in your many phone Q&A sessions. Your dedication and commitment definitely showed. I was also very impressed that you consistently brought your responses back to “why” people needed to sign up. Good selling from a confident position. Thanks, Virgil. It’s awesome that you seemed to notice some of the more subtle points of the launch. There is so much to a launch. Knowing what to improve is one of the vital key points. Let me think about this and perhaps I will publish something on this some time soon. I love all 5 points, and really resonated with #4: When You Create Inspiration, You Increase Expectations. Luckily, I have not had loud complaints yet, since my launch has been very small scale and I’m able to connect personally with everyone easily. BUT I felt that increased expectation in myself; like “I’m stepping up my game because I want to model the absolute best for my clients. They have put their trust in me and I want to uplevel everything in service to them.” Thank you for sharing your deepest learnings! I love that! When we uplevel our service, not only are our clients happier, but it serves as a huge confidence for us to get ahead in enrolling clients knowing they are going to be happy. I resonate the part about the WHY being a driving factor. It reminds me of Simon Sinek’s material. Great to remember to put the why before the how and the what. Thanks, Bill.